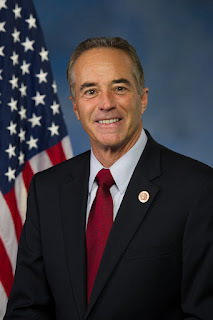 WASHINGTON, D.C. -- Congressman Chris Collins (NY-27) today announced that the U.S. Department of Agriculture (USDA) is investing millions in waste and water disposal loans and grants in the Towns of Alexander, Oakfield, Canadice, and Barre. In each of these towns, water quality testing has indicated threats to public health and a lack of safe water. The funding will go toward various solutions to alleviate these concerns and provide reliable water service to residents. "USDA's investment in the Towns of Alexander, Oakfield, Canadice, and Barre will improve the quality of life for residents of those communities," said Collins. "Access to clean water is essential, which is why I voted in support of the 2018 Omnibus spending bill that included these funds to our nation's rural communities. The Trump administration has prioritized investing in rural communities to build a foundation for rural prosperity, and I am pleased that these efforts are being seen in Western New York." Rural community leaders can apply for these funds electronically by using the interactive RD Apply tool. They can also apply through one of USDA Rural Development's state or field offices. For more information on USDA's projects to upgrade water and wastewater systems in rural communities, click here. Municipalities seeking assistance from the USDA are encouraged to call Collins' Lancaster District Office at 716-634-2324.